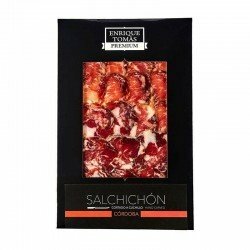 Elegant sachet with 80 grams of exquisite Iberian 5 stars Lomo, knife-sliced by a professional Jamón artisans and with a different flavour, tasty and very pleasant. 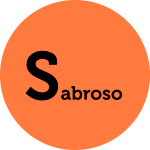 This product is made with a whole pork loin, without external fat, marinated with a dressing prepared with paprika, garlic, oregano and olive oil. 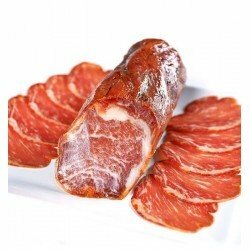 The lomo is a stuffed piece, which means that it has been cured inside the natural pork gut, like a whole piece, without chopping. 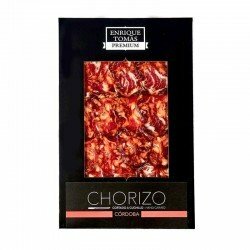 Just like the Jamón Bellota 100% Ibérico, the Pata Negra sausages are also a delicacy like this tasty Lomo 5 stars. 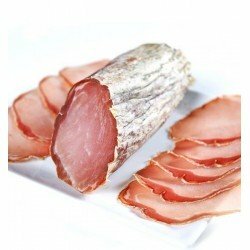 The lomo is a unique product of Spanish gastronomy and is obtained from Iberian pigs fed freely on acorns and wild herbs during the Montanera in the Dehesas (Iberian forests) of the Iberian peninsula. This flavour is very special, delicious, elegant but strong at the same time. Nuances and textures that will delight your senses.